Welcome to my site! I'm an avid reader and will be posting book reviews, as well as other personal blog posts. 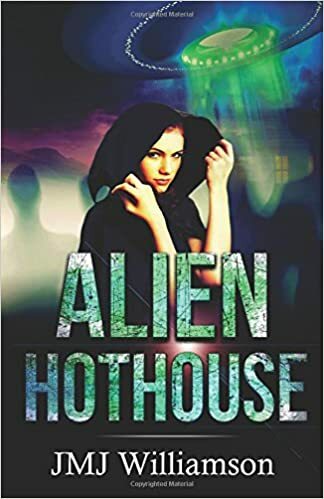 An unmarried mother, running a spa hotel in a sleepy North Yorkshire village, helps a group of marooned aliens, living there secretly, to send a distress signal to their home-world, only to find that the signal has unintended consequences. I went into this book thinking it would just be a book about a group of aliens living on earth, and how they were integrating, as the synopsis of the book was fairly vague. I have to say, this book was action-packed, and not what I expected. The plot twisted so many times, I almost lost track of it, but at the same time, I really enjoyed this. It was well written, and easy to read. There were parts of the book that could have used a good edit, but this didn’t put me off. My only gripe with the books is that there didn’t really seem to be any real conflict in the plot. There were times when the characters ran into certain conflict, and it was so easily resolved, that I as the reader almost completely forgot it happened in the first place. At parts, it felt like I was in some “lovey-dovey” universe where everyone I ran into was a nice person. I would have liked to be a bit more on the edge of my seat. Overall, I’d recommend it. It was enjoyable, and a different type of style and story than I’m used to. It was an easy, enjoyable read. The opening line above almost dissuaded me from reading the book, as it set the tone for a story that wasn’t going to end well. I’m glad I read more, as it was a fantastic story. This book didn’t take long to read, probably about 6 hours or so in total. It was captivating, inspiring, and hard to put down. The book, for the most part, is written in the form of log entries by the main character, Mark Watney, who is stranded on Mars after an aborted mission. In my opinion, that absolute best part of this book is Mark Watney, the main character. Even while all of these terrible things are happening to him, he stays optimistic throughout, and comes up with solutions to his problems. The other interesting thing about reading this book, and that the situations in the book do not seem far-fetched. It seems quite plausible that it could happen in the next 20 years or so. The author strives to create realistic situations, and employ as much science and math to suspend disbelief. I really liked this element of the book, as it gave a little bit of credit to the fiction. After reading the book, I also saw the movie, and I was actually impressed. My biggest worry was that they wouldn’t be able to capture the character properly in the film, but I think this was done well. I think anyone would enjoy this book. John J. Cannon successful San Francisco lawyer takes a leave of absence from the firm and buys a boat he names My GRL. He is unaware that his newly-purchased boat had already been targeted by a terrorist group. John's first inkling of a problem is when he wakes up in the hospital where he learns he was found unconscious next to the dead body of the attractive young woman who sold him the boat in the first place. John now stands between the terrorists and the success of their mission. 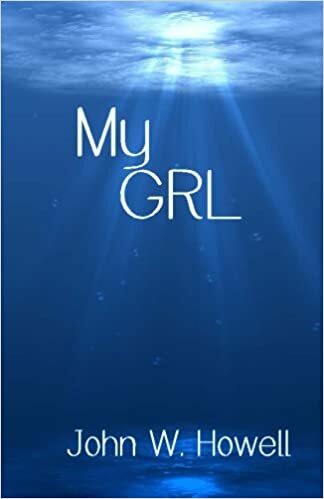 Overall, I really enjoyed My GRL. The story was very fast-paced, full of action, and it was hard to put down. I was pleasantly surprised that the plot wasn’t as predictable as I thought it was going to be when I first read the synopsis. The reader quickly finds out that things are not as they seem, and are really thrown for a loop. My gripes with the book are fairly minor, and didn’t really bother me too much. First, the first-person present tense of the narration was a bit hard to read at first, as the tenses did change a bit throughout. I quickly got used to this and really started to enjoy the writing. Furthermore, I felt that the author did a lot of over-explaining as if it was just trying to fill pages. The author seemed to keep pointing out that the main character really wanted half and half and Splenda in their coffee. I think this is mostly attributed to it being an early work of the author, and it didn’t really bother me too much.